1) CPT has been in business since 1992. Unlike many fly by night operations in the pet industry, we have stood the test of time. 2) CPT has trained over 50,000 dogs and over 100 cats. Not only have we been around, we have been successful. We have experience in both years and numbers. 3) CPT is recommended by over 80 veterinary clinics who either actively refer CPT or distribute CPT literature. Other than perhaps a referral from a satisfied client, the greatest compliment is a referral from a respected pet industry professional. 4) Other dog trainers and dog training companies refer tough cases to CPT. Even our competitors recognize the talent of CPT’s training staff, especially after they are unsuccessful training a refractory dog in obedience or household manners or reducing a client dog’s aggression or anxiety. Several have subsequently referred their clients to CPT. 5) The accomplishments of CPT’s staff are unmatched in the Atlanta area. CPT staff members have authored peer reviewed academic papers, conduct leading edge military funded research on canine neuroscience, been interviewed by top national news and documentary programs such as 60 Minutes and Nova, been the “Pet Expert” for a weekly television news program, blogged nationally as the “Pet Expert” for a gourmet pet product manufacturer, won a Regional Championship, won multiple High in Trial awards, titled dogs to the highest levels of AKC obedience, schutzhund, agility, and tracking, and coached students to blue ribbons and high in trials awards. 6) CPT has the most diverse dog training program in Atlanta. Unlike many other trainers or companies that only offer one or two services, we offer group classes, private lessons, in-home private lessons, remote private lessons, and board training services. Moreover, you can select one program or any combination of the preceding to best satisfy your training goals and budget. 7) CPT programs address a variety of training goals. Regardless of whether your objectives include on-leash basic obedience, off-leash advanced obedience, competition obedience, Rally obedience, CGC obedience, therapy dog training, service dog training, agility for fun, agility for competition, tracking, trailing, scent discrimination, tricks, housebreaking, household manners, or complex behavior modification, such as aggression or anxiety reduction, CPT trainers are experienced, skilled, and ready to help you achieve more joy from owning your dog. 8) CPT has a flexible, customized service dog program that can prepare an assistance animal quickly, correctly, and per customized client specifications. CPT trains service dogs for persons with mobility, hearing, seizure, autistic, and psychiatric disabilities. We have even trained a service dog for a client who required a dog to assist with the limitations posed by narcolepsy and a “homing dog” that would direct a client homeward on command to assist with her loss of spatial memory after a traumatic brain injury. Unlike with a nonprofit organization where you have to apply, wait for acceptance, and then wait 2 to 5 years in a queue, with CPT you can order a dog and program customized to your needs and preferences and often have the program completed within 4 to 8 months. Moreover, we will even train existing household pets, provided they meet the temperament, aptitude, structure, and health requirements to succeed in a service dog role. 9) CPT trainers are well versed in a number of methodologies. Unlike with many competitors who only use one method and try to fit the dog to the method, we do the converse. After training over 50,000 animals, we have yet to meet a single method that is universally best for all dogs or even for any individual dog throughout all exercises or stages of training. Therefore, CPT trainers are well skilled in positive reinforcement clicker, food, and play training, but also know when to deviate to incorporate other methods that may better put an inhibitory control break on high arousal or compulsive behavior or that may better compel a dog to extinguish an undesirable habitual behavior, whereby we can then convert to positive reinforcement and behavior shaping to train a mutually acceptable replacement behavior. 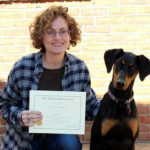 CPT trainers are also highly skilled at teaching and implementing counterconditioning, desensitization, impulse control, leadership communication, management, sensory adjustment, homeopathic, and facility modification techniques that best modify aggressive or anxious behavior and they can work with your veterinarian to discuss whether medication will be a productive adjunct to a behavior modification program. 10) CPT’s programs are reasonably priced, especially considering the quality of the facility and the staff. Whereas many Atlanta competitors offer 6 week group classes for as much as $250, the majority of CPT group classes consist of 8 weekly meetings and cost only $210. In addition, our private lesson, in-home private lesson, remote private lesson, and board training programs are competitively priced. Contact CPT today to begin obtaining more joy and less aggravation from your pet owning experience! Or contact the CPT office by phone at 404-236-2150.